Obituary for Sharon Lee Hatfield | Freeman Funeral Home, Inc.
Sharon Lee Hatfield, 65, of Chapmanville, WV, departed this life on Tuesday, August 28, 2018 at her residence. She was born August 11, 1953 in Logan, WV, the daughter of Lora Bonnie Hopson of Clinton Township, MI and the late Kermit Mathena. In addition to her father, she was preceded in death by three brothers, Kermit “Butch”, Bobby Jean and Jim Mathena, one honorary brother, Michael Smith and one sister, Laura Ann Mathena. Sharon loved people, she never met a stranger. She enjoyed walking and visiting with her friends, attending church, telling others about Jesus, and spending time with her family and fur babies. Sharon also loved a good LMN movie. 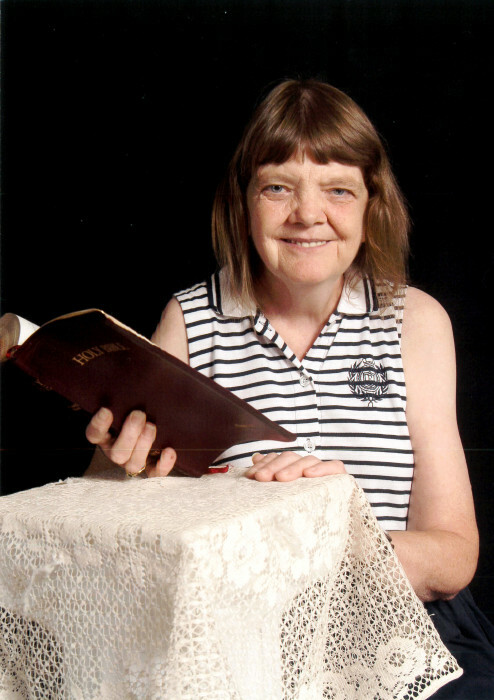 Sharon was a member of the Logan Woman's Club and attended Calvary Baptist Church in Chapmanville. Those left to cherish her memory include her daughter, Laura (Justyn) Blankenship of Warren, MI; one sister, Helen (Bob) Trubiano; one honorary sister, Sherri Workman whom she made her home with; one special friend, Sandy Jackson; and a host of other friends and family. Services will be held at 11:00 am, Wednesday, September 5, 2018 at Calvary Baptist Church, Chapmanville, WV with Pastor John Freeman officiating. Burial will follow at Highland Memory Gardens, Old Logan Road, Chapmanville, WV. Visitation will be on Tuesday, September 4, 2018 from 6 – 9 pm at Freeman Funeral Home, Chapmanville, WV. Pallbearers will be Justyn Blankenship, Gary Packo Sr, Ben DesRocher, Thomas Artist, family and friends.